The UN World Tourism Organisation has appointed FC Barcelona’s Argentine star Lionel Messi as an ambassador to promote responsible tourism. “During my travels I have had the opportunity to know other cultures and societies as well as other ways to see the world and this is very enriching,” Messi said in a statement released by the Madrid-based United Nations body announcing his nomination. “I am happy I can join this mission of promoting responsible tourism,” the five-time winner of the FIFA World Player of the Year award added as the body steps up its campaign to minimise harm tourism can cause to the environment and historical sites. 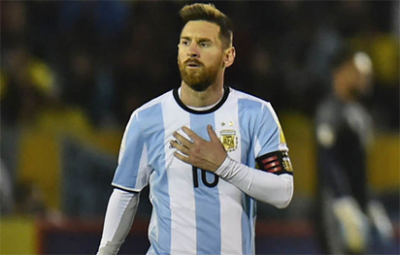 World Tourism Organisation chief Zurab Pololikashvili said it was a “great honour” to have Messi promote “the positive values and benefits that tourism represents. “Messi is a unique sportsman and an example of how willpower and constant work yield good results,” he added. The 30-year-old is the leading scorer in La Liga this season with 29 goals and is also the all-time top marksman in Spain’s top flight. He is also the top scorer in the history of Barcelona and Argentina.